Written by a man who had experienced the trenches of the Western Front, the dramatic, tense and claustrophobic events of the play and film Journey’s End have a realism and authenticity. This is because its writer, RC Sherriff, had seen first-hand the effect of years of war on his friends and knew the fear and terror of waiting for an impending attack, waiting for his journey’s end. 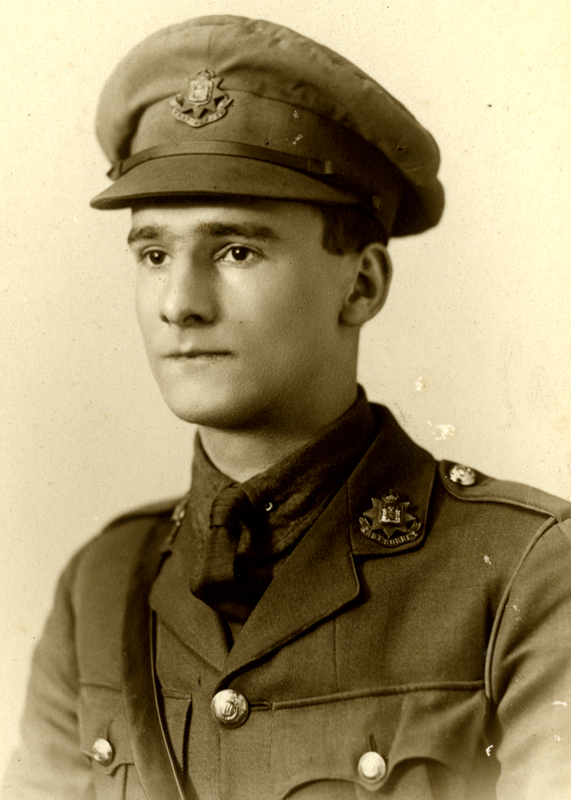 Sherriff wearing his East Surrey Regiment uniform, c.1917. By permission of Kingston Grammar School and Surrey History Centre. The characters of Journey’s End are believed to be a reflection of the men Sherriff had served with in the 9th Battalion of the East Surrey Regiment. The events of the play, especially the impending sense of doom at an imminent German attack, are based on the experiences of Sherriff’s comrades who held the line near the French town of St. Quentin at the start of the German Spring Offensive in March 1918. Newspaper report of the 9th Battalion's theatre outing to see Journey’s End and annual dinner, 1930. 130 officers and men attended the event and Sherriff showed some of his former comrades around the stage set. 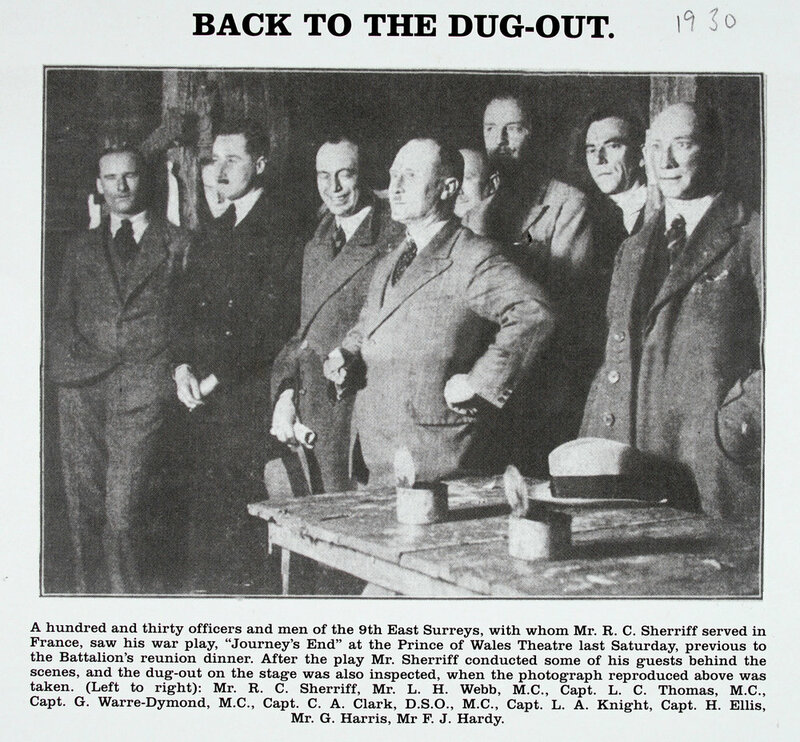 Clark is in the centre, Sherriff far left. Reproduced by permission of Surrey History Centre.